Send one of these lovely cards to friends and loved ones to brighten their holiday seasons! 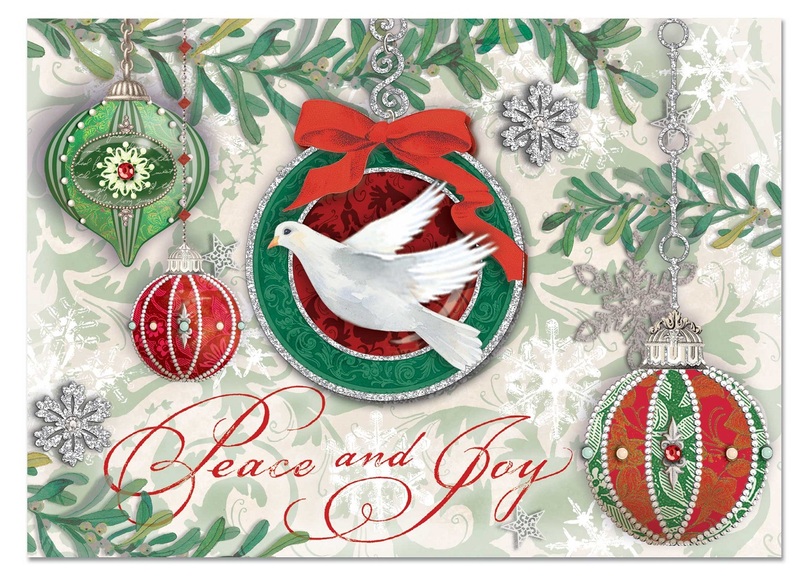 The cards feature a dove ornament at the front and center, surrounded by other delightful decorations. Festive boughs and snowflake designs make up the background, and the words "Peace and Joy" are written in script at the bottom. Silver glitter and gems complete the look!